Purchasing a towbar is a complex business, quite the contrary of doing your daily shopping. What should you even keep in mind? What are all the possibilities? And what is the best fit for your car and your situation? Before deciding on which towbar to purchase, you need answers to these questions. Brink is happy to help you with the basic knowledge required to decide. For most cars, the choice is between fixed or detachable towbars. Retractable towbars are available for some brands of cars. The cheapest towbar system is a fixed towbar. Detachable and retractable towbars are more expensive, but they have a large advantage over fixed towbars. The biggest advantage of detachable and retractable towbars is the invisibility of both systems. A detachable towbar can be disconnected and placed in a storage bag in the boot of your car when you have no need of it. A retractable towbar can be folded behind your bumper and locked in place there. Both systems keep the design of your car completely intact. Because of this, detachable and retractable towbars are becoming more popular choices. A fixed towbar is always in sight, making it permanently available and easily accessible when you want to use it. However, with some cars, the license plate becomes unreadable with a towbar in front of it. This is illegal and therefore not advisable to install towbars to these cars. Is your vehicle permitted to tow a trailer? Some cars are not even allowed to tow a trailer, caravan, boat trailer or horsebox. The reason is simple: according to the official restrictions of your car manufacturer, the maximum towing weight is insufficient or the vehicle is no homologated to tow. Your registration certificate will show whether your car is allowed to tow. Small, hybrid or electric cars often don’t have enough towing weight. However, there is one towbar that is suitable for these cars. 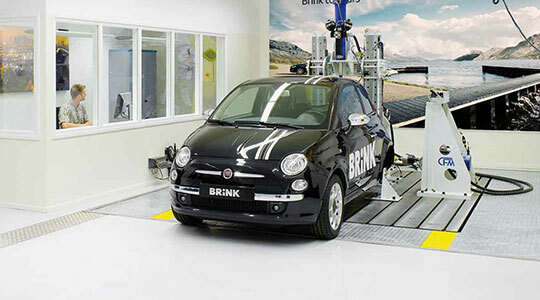 Brink developed the bike carrier towbar, which cannot be used to tow but is designed to carry. You can mount a bike carrier on this towbar. Your bike carrier, caravan, trailer, horsebox or boat trailer should always have for the lights. This means you need a wiring kit to go with your towbar. For every towbar they have available, Brink offers a matching wiring kit with either a 7-pin socket (for bike carriers or trailers) or 13-pin socket (for caravans). Based on the basic information listed above, the best course of action is to first start your search by asking how often you intend to use it. Every week (fixed) or less frequent (detachable or retractable)? Next, it is important to determine how you will use the towbar. Do you want to fit a bike carrier (bike carrier towbar), or attach a caravan, trailer, horsebox or boat trailer (fixed, detachable or retractable)? Lastly, you can determine whether the design of the car can (fixed) or cannot (detachable or retractable) affect the design of your car. Based on these answers, you can consider the various types of towbars and wiring kits Brink has available with the help of the towbar search. You can use our towbar search engine to find the right towbar and wiring kit to match your car and requirements in three easy steps. In step 1 in the towbar search, you can enter the license plate of your car. 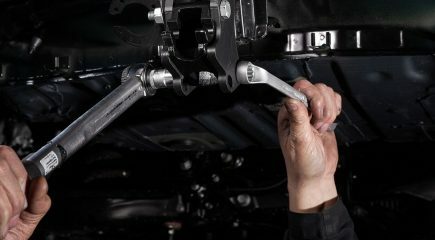 In step two, the website shows all available towbars (flanged ball, fixed, detachable or retractable) and the right wiring kits (with 7-pin or 13-pin socket) for your car, including prices. Once you have selected the products you want, you can find the closest fitting locations in step 3. The fitting of the towbar and wiring kit can take place there by appointment. You will always pay after the fiting is finished and if you are completely satisfied with the end result. If you decide to purchase a towbar and have it fitted at a Brink Fitting Partner, you will have a 5-year warranty. You can also purchase a towbar and wiring kit immediately from one of our fitting service partners. All our fitting service partners have a separate login on our website, where they can follow the same step-by-step process to find the best towbar and wiring kit that suits your needs as a client. We periodically train our fitting service partners and award them certificates upon successful completion. This way, we can guarantee they will offer you flawless fitting. Are you unsure what you have to keep in mind when purchasing a towbar, wiring kit or accessories? We are glad to offer our advice. Purchasing a towbar and wiring kit can set you back hundreds of pounds. You may wonder why you have to pay so much? The costs mostly cover the technical development, testing and production of the towbar. Installing a towbar and wiring kit is a specialist job. For that reason, Brink works together with fitting partners. We, therefore, recommend that you always use the closest Brink assembly station.